Side-rails sometimes referred to as bed rails are attached to the side of a bed, and when elevated, they can help prevent a patient from falling out of bed. If an adult patient wants to get out of bed, side rails are unlikely to stop him or her. As an experienced Chicago nursing home abuse and neglect lawyer, it never fails to amaze me, when nursing home patients are injured due to the negligence of a skilled nursing staff member. Side rails are a common safety device used in many hospitals and nursing homes. They are commonly used on beds when the patients are unconscious, confused, or sedated with medication. In many hospitals side rails are used at night for all patients over seventy to prevent falls. In many nursing homes side rails are used for all patients at night regardless of age. It is common practice for nurses and other health care ancillary personnel to put down side rails when they are attending a patient. It is critical for them to remember to elevate the rail when leaving the bedside. Although a comfortable sleeping patient may appear unlikely to move, he or she may suddenly move and fall out of bed when the rail is not in place. Some patients may find the side rail embarrassing, other find it as a sense of security. Side rails are meant as a safety device. They can be involved in serious accidents and death. The Chicago nursing home abuse and neglect lawyers at Nemeroff Law Offices are aware of the serious risks associated with side rail use and misuse. Hundreds nursing home patients have been involved in accidents involving side rails use or lack of use. Some deaths have been due to manufacturing defects in side rail design. Poor design of some side rails caused several nursing home residents to be crushed when trapped between side rails and the bed mattress. Nursing homes often misuse and abuse the use of side rails. Reports from geriatric experts conclude that side rails are commonly unnecessary. They create an environment that leads to falls. Residents attempt to climb in an out of bed over the top off the rails. If you or someone you love has sustained injuries or loss from a Chicago nursing home neglect injury, contact Nemeroff Law Offices today. 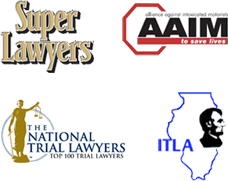 Our experienced Illinois nursing home injury lawyers are available to speak with you directly.